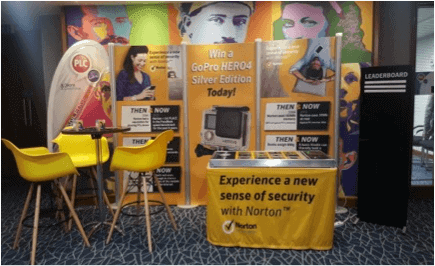 For two weeks in September, our team were travelling around with Norton by Symantec on another Roadshow across Heathrow, Bristol, Leeds, Birmingham, Liverpool and Edinburgh. This was on the back of the successful implementation of our first ever Norton Roadshow back in April 2016. This Roadshow however, was part of PLC Live. 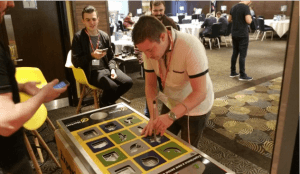 A training event for employees of Dixons Carphone Group, where GottaBe! provided a team of Brand Ambassadors at each location to interact with staff through an innovative Tap The App game. The game was in affect a life-sized version of the popular children’s board game – Operation. But instead of picking out body parts, employees were required to use a magnetic pole to pick App shaped pieces out of a giant mobile phone. 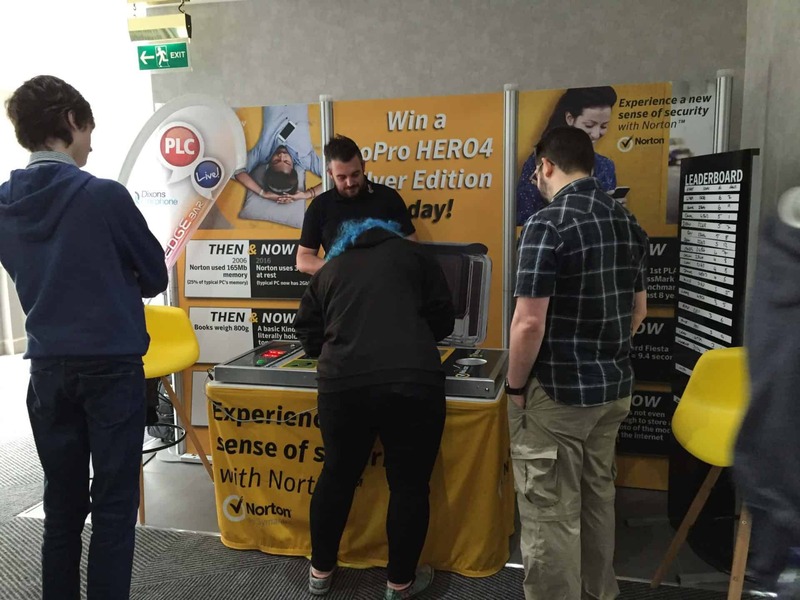 The employee who collected the most items at the end of the day without setting off the alarm, won a GoPro Hero 4. 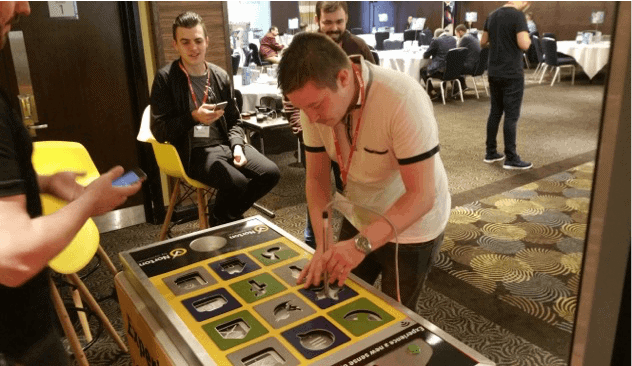 The key message of the game was to educate staff about the issues of viruses and malware, which can be transferred in Apps or sent through emails on mobile and tablet devices. 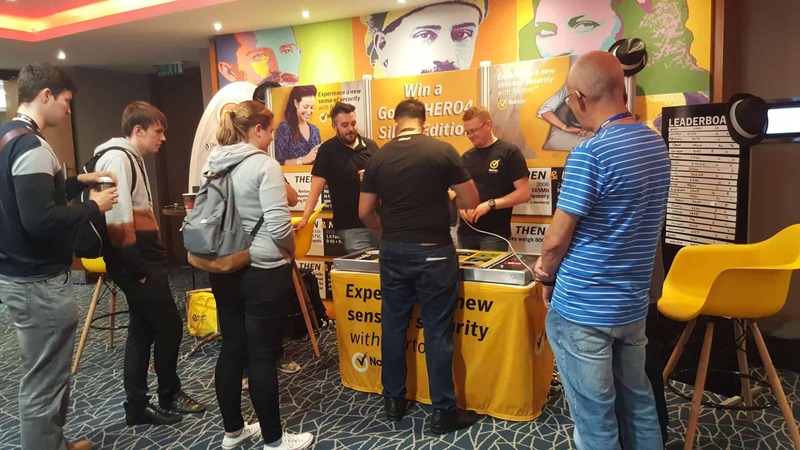 To combat this, Norton by Symantec explained how they offer a range of products to protect these devices from issues like this. The Norton stand was placed within the Knowledge Bar area, allowing our Brand Ambassadors to engage with people as they arrived to the event, as well as during breaks and beyond. As result, we were able to maximise engagement, by giving everyone the chance to participate in the competition and educate them on the Norton range of products. Similar to the previous Roadshow, GottaBe! 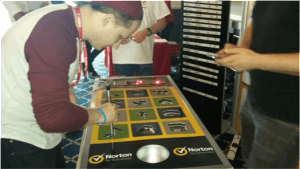 took care of sourcing the game with full Norton branding, logistics, accommodation and staffing. Story written by John Stoffel, Business Development Manager at GottaBe!. 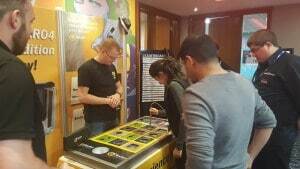 If you would like to discuss your roadshow or any other staffing requirements, please feel free drop John a line to john.stoffel(at)gottabemarketing.co.uk.